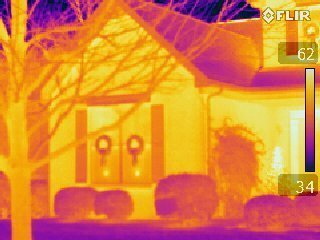 Home inspections should include the use of Thermal Imaging. Infrared Thermography (IR), or more commonly referred to as Thermal Imaging, is a technology developed for use by the Defense Department; however, it provides a tool that has become very powerful for other industries, especially the Home Inspection industry. In years past, IR cameras were prohibitively expensive; only recently have the costs of the technology become low enough to be feasible for use by home inspectors, etc. An IR camera basically takes infrared energy given off by an object and converts it into colors visible to the naked eye. This technology is very advanced, but the use of the camera is very basic. The colors shown by the camera can, with a little interpretation, represent temperatures of an object, or in this case components in a home. It is in understanding what these temperature differences can be caused by that becomes invaluable in a home inspection. For example, when water evaporates, it tends to cool the surface that it evaporates from. If a home is experiencing moisture penetration through a basement wall, or if there is an active roof leak that is not visible because the signs of wetness have dried up since the last rain, the IR camera may be able to identify the leak due to the cool surface where evaporation is still occurring. Using this logic, the camera can also be used to detect defects in: plumbing (some leaks are to slow to cause the surrounding surfaces to become visibly wet), HVAC (loss of conditioned air in duct system…), electrical (overheating of components), insulation (missing or improperly installed), even some wood destroying insect infestations that are otherwise concealed to the naked eye can be found due to the heat termite colonies generate. Admittedly many issues detectable by an IR camera may also be apparent without the use of the camera. However, for the few defects that would not be found during a typical visual only home inspection, the benefits can be tremendous. Slow water leaks can spread deterioration extensively before becoming apparent to the occupants; missing insulation can cause elevated utility costs and may never be apparent without the use of an IR camera, etc. 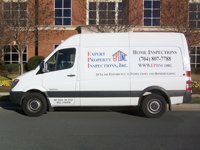 Many home inspection companies have not yet invested the resources needed to acquire good equipment and training necessary to properly perform an IR inspection. Although the cost of the cameras has come down a lot in recent years, a minimum specification camera can cost $5,000 or more; lesser cameras do function, but their level of detail may cause the thermographer to miss defects that are more readily apparent with a more powerful camera. Furthermore, many inspectors unfortunately forgo the cost of training which can be as much as $2,000. Without proper training, an inspector can miss defects, or cause as many problems as they may find. Some home inspection companies do now offer Thermal Imaging Inspections. For most the service is in addition to the standard home inspection; limited surveys are typically $250 to $400. Some home inspection companies include IR as part of the basic home inspection because of the value it brings to the customer. Ken Corbitt is a guest author for HomesFortMill.com and owner of EPI, Inc. Home Inspections with over 20 years of home building, home repairs, and home inspections , and licensed in North and South Carolina. Way to stay ahead of home inspection trends. This is a great example of using the latest technology has to offer for the benefit of your clients. The great thing about this report is that it picks up the things most inspection overlook, or cant see with the naked eye. This new trend will surely help more clients on how to inspect a house meticulously. What a good idea!